At CPAC 2019, Sovereign Nations gathered speakers from various positions and backgrounds to address issues surrounding the postmodern deconstruction of the greater evangelical church. 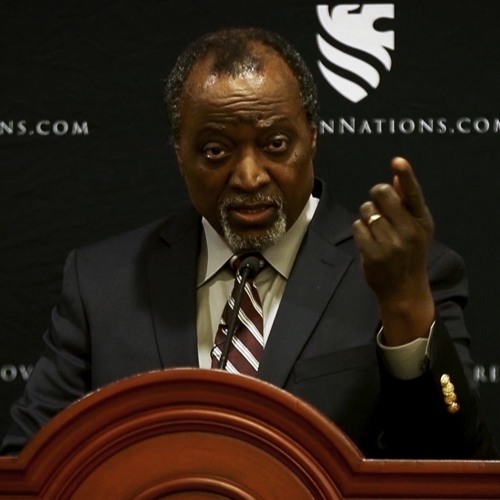 Ambassador Alan Keyes focused on the understanding that the entirety of the grievance movement, intersectionality, and social justice violated the essential understanding of the Imago Dei and the Declaration. As Dr. Keyes so eloquently put it: “I basically learned to love America because of the Declaration of Independence. The Declaration of Independence is premised on that we are all created and that that means that I am NOT in my identity the result of my own passion, the result of my own choice, the result of an oppressors choice to brutalize my family or my ancestors or myself. What I am is the result of the will and power and loving intention of Almighty God: He told me what that intention is on the very first page practically of his word. That He made me to be in the image and likeness of God to reflect the power that is beyond all powers and the will that can constrain all wills producing the future that can encompass every hope and every dream and every possibility of that humanity that he made me to be in to achieve which one of their powers and their verbiage and their nonsense can be the equal of this identity that I bear. In spite of them, in spite of the world, in spite of every indignity that has been or could ever be done to me for I stand above it all basking in the glow of the image of God that shines forth upon me and that shines from within me because of His will there is no substitute for this there is no way they can overpower us when the source of who we are has nothing to do with their power and everything to do with the power they can never touch…” Follow Sovereign Nations: Email Newsletter: https://sovereignnations.com/subscribe Facebook: https://www.facebook.com/SovereignNations Twitter: https://twitter.com/SovNations YouTube: https://www.youtube.com/SovereignNations © 2019 Sovereign Nations. All rights reserved.